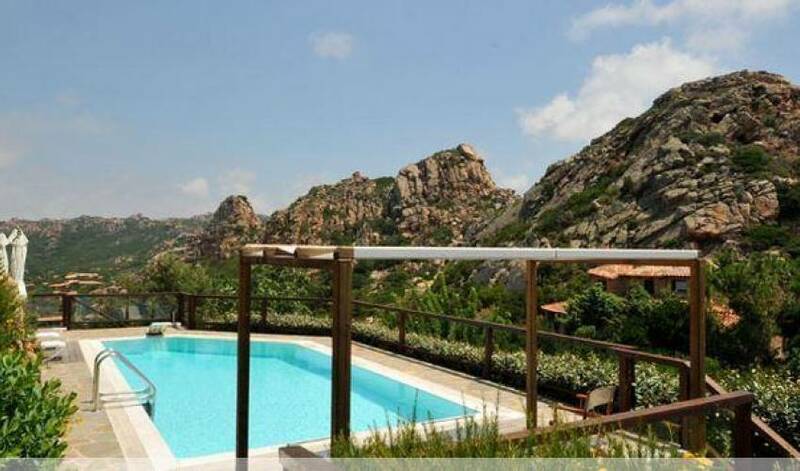 Villa 9133 is situated in a private park which offers a residence to exclusive villas, offering shops, supermarkets, a pharmacy, boutiques, crafts and bars. 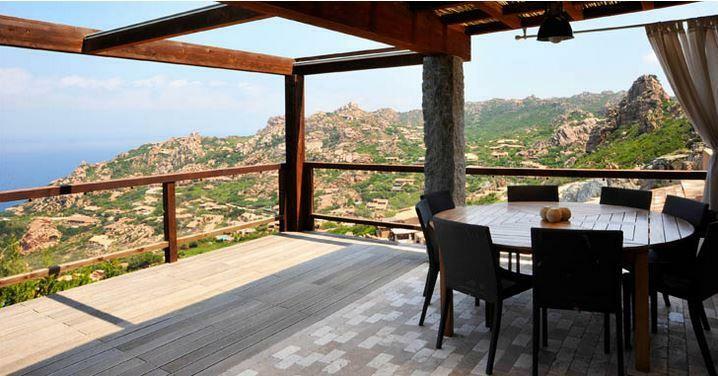 All these facilities are nestled in a lush Mediterranean vegetation away from the noise and clamor. Nearby the villa there is a private medical and a surveillance office which contribute to have a safety, calm and secure stay. 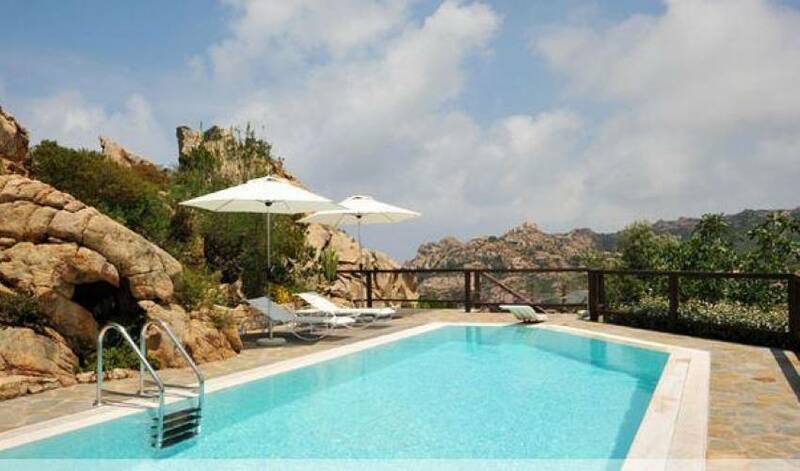 For those looking for sport activities, in the village of Costa Paradiso there is a well equipped sports center with swimming pools, tennis courts, soccer, beach volleyball, basketball, archery, a qualified diving center for breathtaking dives and nearby there is a horse riding center. 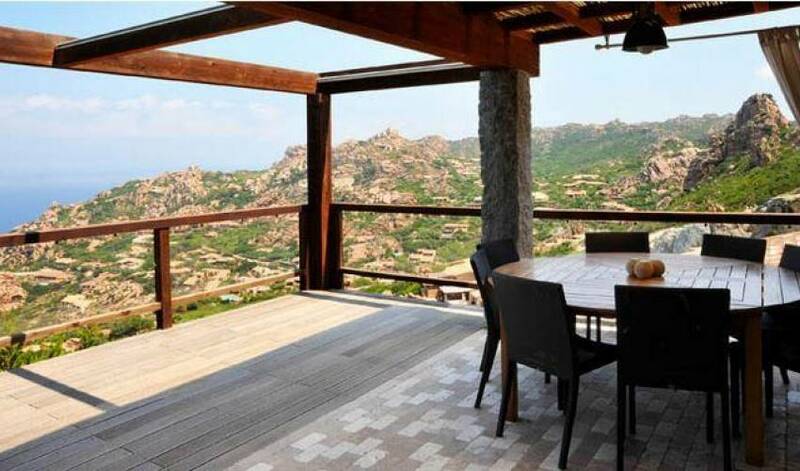 This elegant villa built on a rock consisting of three levels which creates the possibility to have an amazing view from each room of the villa. 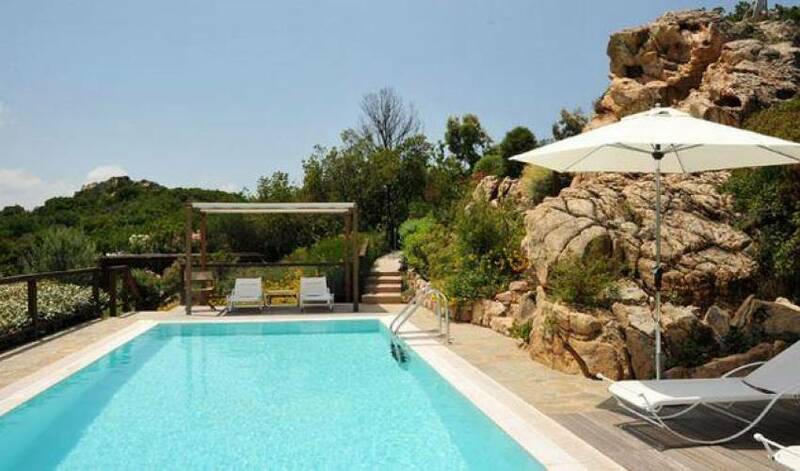 The spectacular location of the villa makes the villa really special. The owner has furnished the villa with a great attention to each detail, using the simplicity and purity of the white color which is perfect for a seaside villa. 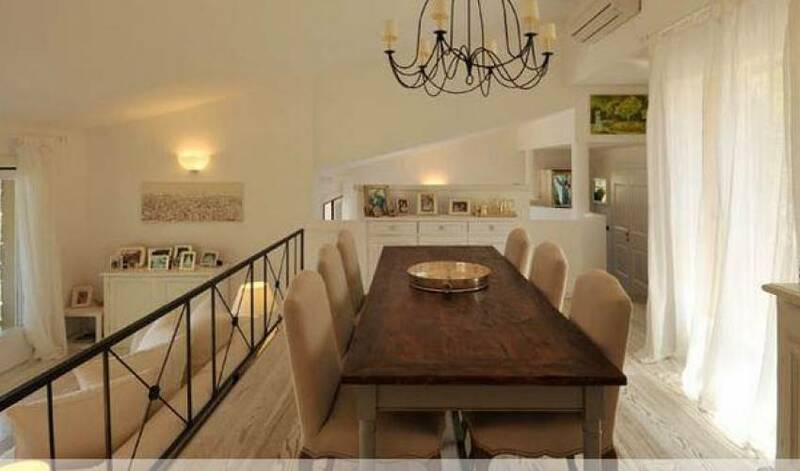 The kitchen and dining room offer equipment useful also for cooking lovers. The glasses, plates and all cutlery are suitable for elegant dinners. The villa is equipped with air conditioning in all the rooms. The villa has a garden a modest size but very nice and well maintained. 4 steps up, eating area for 6 people with direct access to outdoor eating area (4 people) with umbrella (no seaview), well equipped kitchen with access to outdoor BBQ area with sea view which leads to a covered outdoor eating area, living room with French windows opening to outdoor covered terrace with sea view and table for 8 people, TV room with big flat screen TV and direct access to balcony with sea view, guest bathroom. Outdoor hallway: 11 steps down washing machine, another 11 steps down 1 double bedroom (not convertible into a twin) plus en suite bathroom with shower (+ extra hand held shower) and door opening to a balcony with sea view, 1 double bedroom (not convertible into a twin) plus en suite bathroom with shower (+ extra hand held shower) and door opening to a balcony with sea view sharing with the previous mentioned bedroom. From this bedroom internal connection (14 steps up) to another bedroom equipped with a bunk bed (has also independent entrance) plus en suite bathroom with shower (+ extra hand held shower) and door opening to a balcony with seaview, laundry room, 1 small room with French bed (no window) plus en suite bathroom with small shower and door opening to terrace with sea view. from both front and back yard area access to master bedroom equipped with flat screen TV, extra sofa bed and en suite bathroom with big shower and extra hand held shower. 12 steps up: swimming pool (partial sea view) with covered sun area and outdoor shower (cold/warm water), guest bathroom with changing area, big garden with fruit trees, front and back yard dining area with seaview. Nearest grocery shops, shops and restaurants at 800mts, nearest sandy beach Li Cossi 10 minutes walk, Li Baietti (rocky beach)15 minutes walk. Beaches reachable by car: Badesi beach (fine sandy beach) 16 km toward Castelsardo, Isola Rossa beach (fine sandy beach) 14 km toward Castelsardo, Cala Saraina beach (fine sandy beach) 7 km toward Santa Teresa. Other beaches Li Tamerici and Le Sorgenti on a short driving distance. 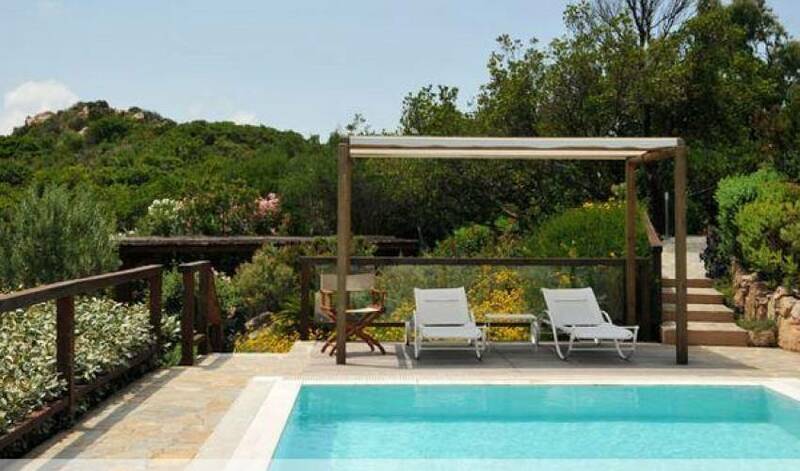 This villa is situated in a private area called Costa Paradiso, silence and privacy guaranteed, nice breeze at the outdoor areas. No pets allowed. Not suitable for elderly people or disabled. During the off season period, a maximum of 6 guests permitted due to practical reasons of heating the property. 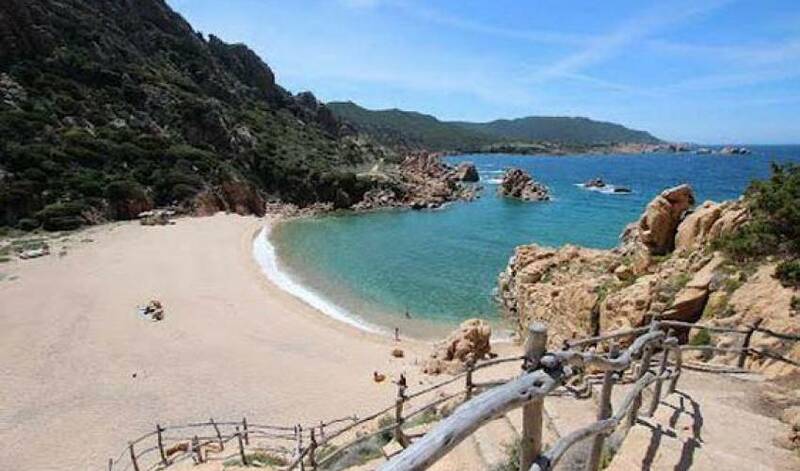 Costa Paradiso extends along the north coast of Sardinia, an area of more than 800 hectares, most of it consists of nature park. A coastline characterized by massive and majestic cliffs eroded by wind, the see-through water, views and landscapes of indescribable beauty. Near Costa Paradiso there are many beautiful secluded and pristine beaches. 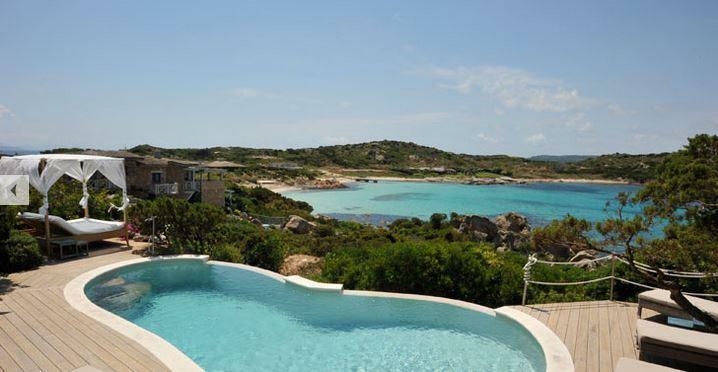 The surroundings and environment of Costa Paradiso are the undisputed protagonists: a generous quantity of nature in which you can find a combination of crystal clear waters, Mediterranean colors and the shades coming from the pink granite rocks. A beautiful coastline featuring hidden coves and secluded waters where the rays of sun create different colors and tones every time. The history and archeology of this land enchant and amaze its visitors. 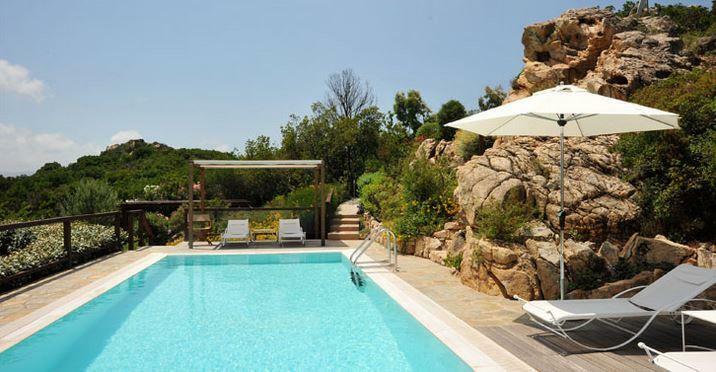 The gastronomy of Gallura and the Sardinian hospitality completes your stay at this place.